A shift in the ratio of chlorophyll (Chl) a and Chl b is an early indicator of heat bleaching in Euglena gracilis. 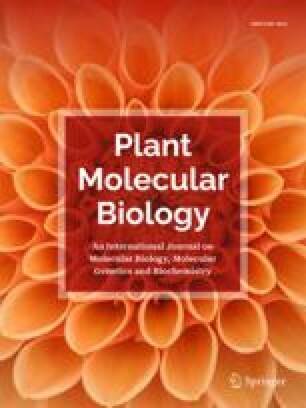 This observation prompted us to consider whether or not changes in steady-state levels of chloroplast transcripts and in transcriptional activity could limit the synthesis of Chl a-binding proteins in bleaching plastids. We found that the mature transcripts for CP47 and CP43, the Chl a-binding apoproteins of the proximal antenna of photosystem II, decline sharply very early during bleaching. Our study also shows that transcription of psbB and psbC, the chloroplast genes encoding CP47 and CP43, remains essentially unchanged during the same interval. We conclude that posttranscriptional events, such as mRNA stability, could play a major role in initiating an irreversible loss of chloroplast function in Euglena at a moderately elevated temperature. Lack of these transcripts would eventually impair the assembly of photosystem II in thylakoids.